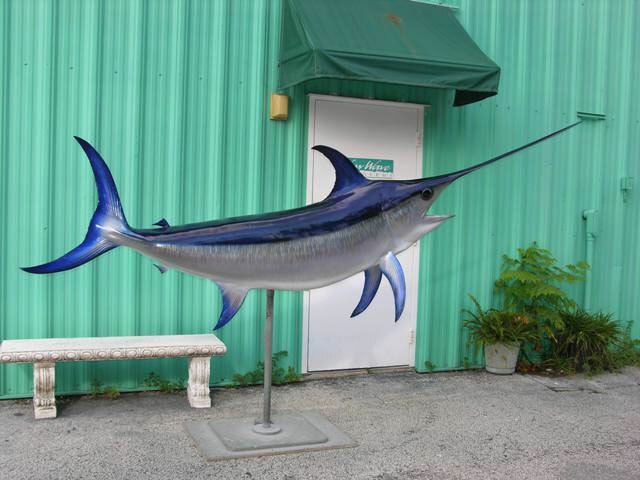 Swordfish (Xiphias gladius; from Greek ξίφος: sword, and Latin gladius: sword), also known as broadbills in some countries, are large, highly migratory, predatory fish characterized by a long, flat bill. 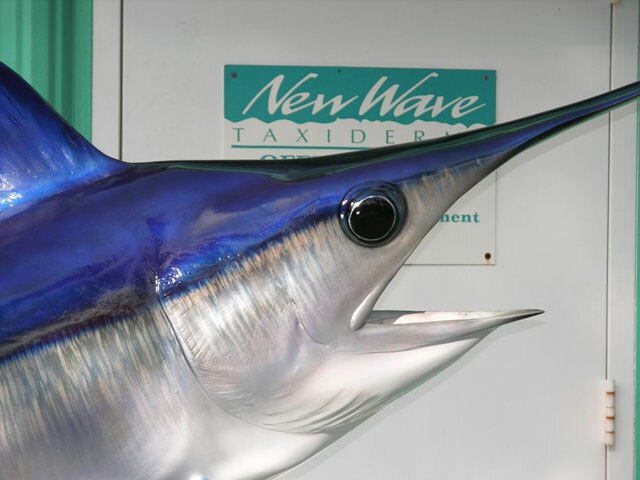 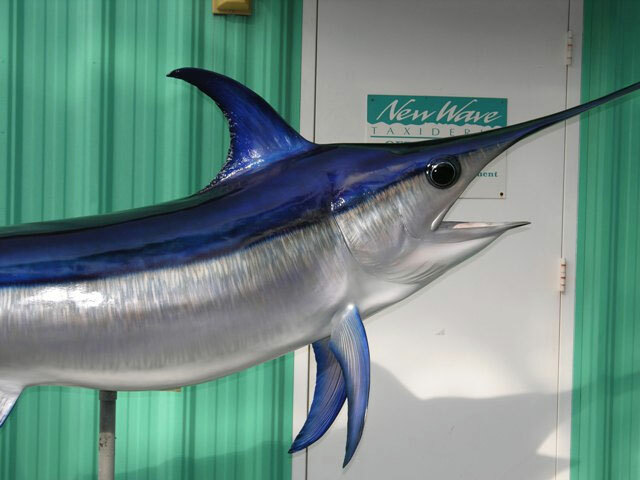 They are a popular sportfish of the billfish category, though elusive. 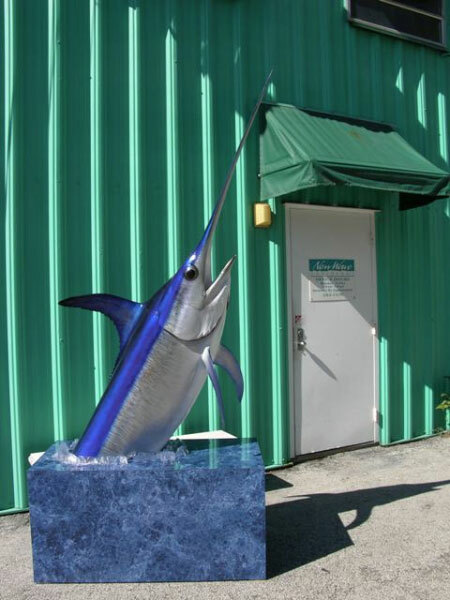 Swordfish are elongated, round-bodied, and lose all teeth and scales by adulthood. 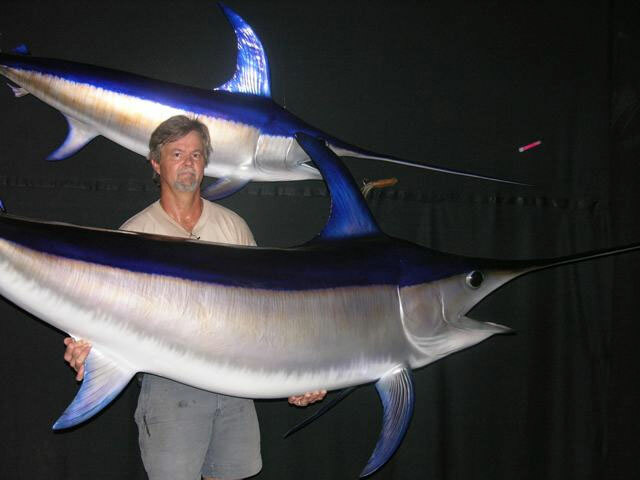 These fish are found widely in tropical and temperate parts of the Atlantic, Pacific, and Indian Oceans, and can typically be found from near the surface to a depth of 1,800 ft (550 m). 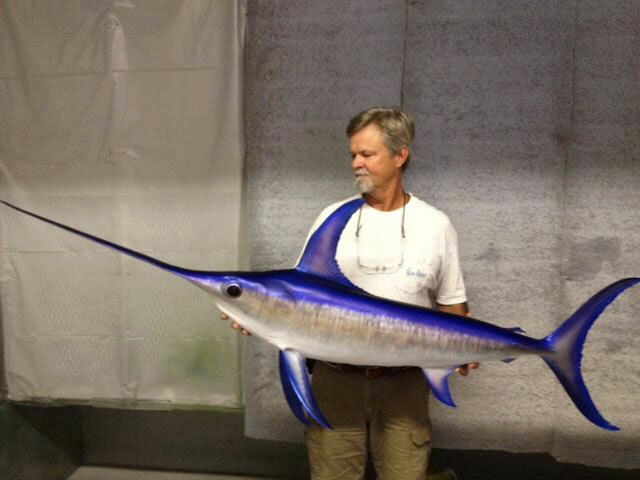 They commonly reach 9.8 ft (3 m) in length, and the maximum reported is 14.9 ft (4.55 m) in length and 1,430 lb (650 kg) in weight.